Don't let the size of the Tucson Unified Guidance & Counseling department fool you! The department proudly serves the district in many ways. The counseling department's focus is on school counselors who provide all students the necessary skills to be successful academically, socially, emotionally and in their future careers. 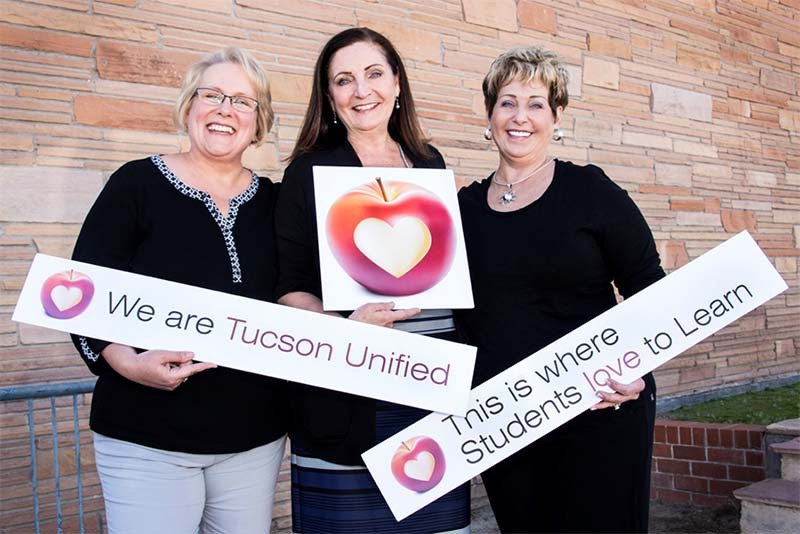 In addition to all aspects of counselor support, some of the department activities include coordinating the annual TUSD College Night, coordinating counselor crisis response teams and coordinating with local post-secondary institutions. And that's not all. The department also provides professional development, counseling program implementation, grant applications, compliance measures, data analysis and on-track-to-graduate efforts. Holly Colonna, Director: What I love about working in our department are the counselors! This hard-working group of professionals are extremely knowledgeable and skilled. They work with passion and commitment and are a constant inspiration to me. Karen Ward, Program Coordinator: What I love about working in our department is going to the schools and working one-one-one with counselors. They provide incredible services to everyone at their schools and make a huge difference in the lives of children. Serving and supporting counselors is my passion! Beth Counts, Administrative Assistant: What I love about working in our department is working with people who care about TUSD students and their families. We have all worked together for many years and bring out the best in each other every day. I love my job!